Photo: Siham Abu Rjeila (53) is the sole survivor of an attack on her home in Khuza’a. Her husband Helmi (67), her daughter Nahed (38), and her son Abbas (20) were killed. Siham managed to pull Nahed out of the rubble, but she wasn’t evacuated to a hospital fast enough. The village was cut off from the rest of Gaza, the ambulances could not access Khuza’a for days. The following day, neighbours placed Nahed on a cart and pushed it for three kilometres to get out of the village. Siham accompanied them. 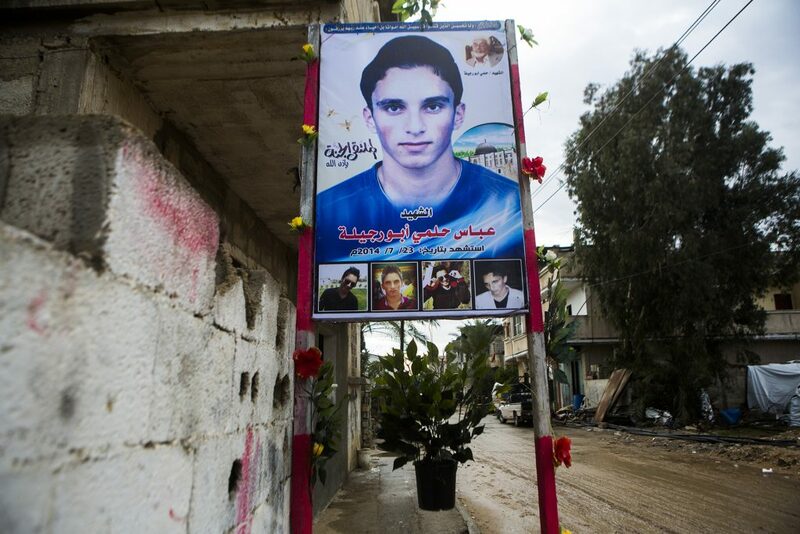 Nahed was sent to Egypt for treatment, but died there on 4 August. 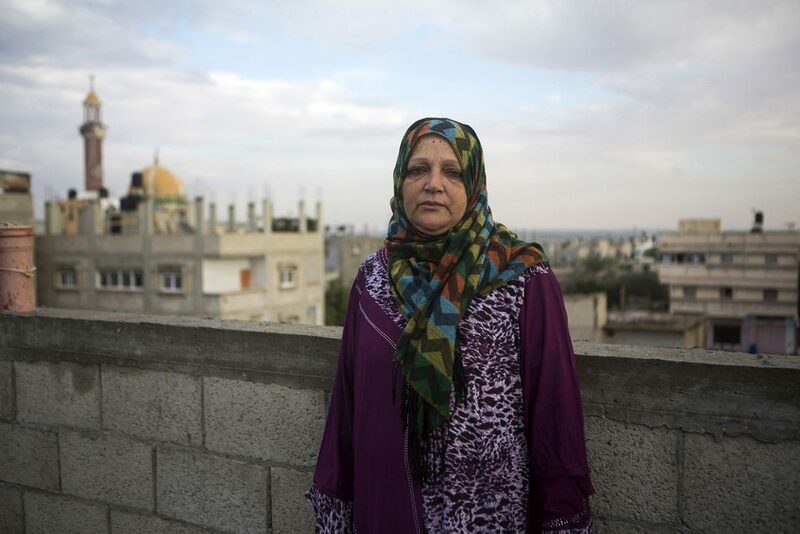 Siham could not leave Gaza with her daughter, because she did not have the necessary documents. The attack on the Abu Rjeila’s house took place at the beginning of the Israeli ground assault on Khuza’a which left parts of the village in rubble.